"For nearly 30 years Kim Michael has provided operational and human resource leadership for Region V Systems here in Lincoln. Kim is responsible for many things that keep our organization running smoothly. Usually one of the first to arrive to work and one of the last to leave, she simply loves her job. Her dedication shines through because she loves to help people be their best! Region V Systems’ mission is to promote comprehensive partnerships in behavioral health. 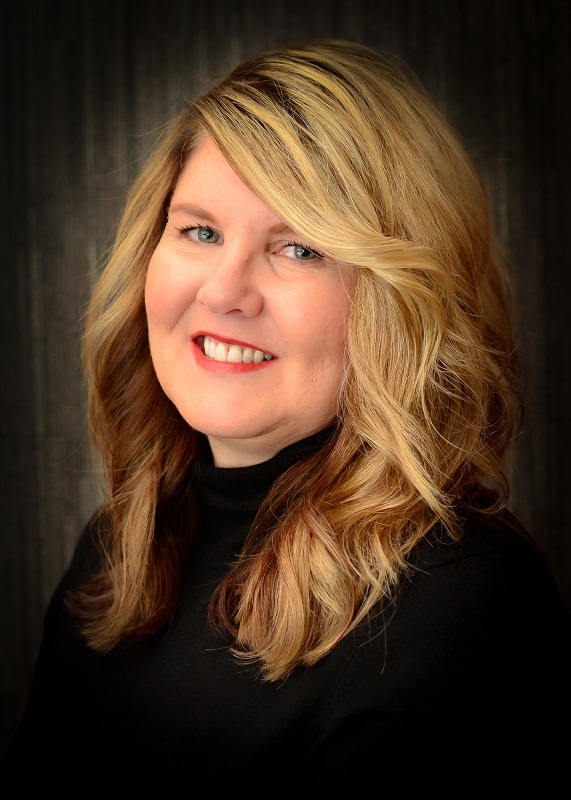 Kim has overseen multiple behavioral health accreditation's throughout her years, which is one of the reasons why Region V Systems has seen so many successes in providing community partnerships and opportunities not only for our staff, but the larger downtown Lincoln community.."
1. How long have you been with your employer and/or working in Downtown Lincoln? 29 years as of June 1! 2. What is your primary role in the workplace? I am the Director of Operations & Human Resources for Region V Systems, administering all areas of human resource management. In addition to my HR role, I direct our Operations Department, Health and Safety Program, and national CARF accreditation. I also serve as a member of our senior management team and am the designated Corporate Compliance Officer. 3. What is your favorite part about working at your company? There are so many favorite reasons! I have worked here quite a long time, but it really does not seem like that. I attribute this to the ever-changing landscape that challenges me every single day as well as the many opportunities to continue to learn and grow, which is very important to me. Our employees are amazing, and their dedication to our mission makes coming to work that much more rewarding. Region V Systems’ culture fosters forming strong mutual relationships, a sense of community, caring, and trust, and we are very team-driven. Information sharing is open, timely, and accurate, and our leadership has a shared vision that is collaborative in nature. 4. What is your favorite place to eat in Downtown Lincoln? For sentimental reasons, Spaghetti Works will always be my favorite place (my husband and I would go there A LOT when we were dating, and it was the last restaurant meal I had before my first daughter was born). This is a hard question to answer, but I will have to say Ali Baba Gyros tops my list! 5. What is your favorite thing to do in Downtown Lincoln? I LOVE to eat al fresco!!!! I am glad that downtown Lincoln is really embracing this vibe. I also like to ride bikes from our home to downtown with my husband (then eat al fresco!). It’s a great way to explore and enjoy downtown at multiple places without the hassle of parking a car, and it’s easier to maneuver around when it’s crowded (get closer to a venue than with a car). Know of a great candidate for Downtown Employee of the Month? Nominate them here.